Last week three suspected Ebola infections were detected in a remote region of the Congo. Since then, World Health Organization officials have been scrambling to contain the virus. Their efforts appear to have failed. The number of suspected cases of Ebola has risen to 29 from nine in less than a week in an isolated part of Democratic Republic of Congo, where three people have died from the disease since April 22, the World Health Organization said on Thursday. The risk from the outbreak is “high at the national level,” the W.H.O. said, because the disease was so severe and was spreading in a remote area in northeastern Congo with “suboptimal surveillance” and limited access to health care. 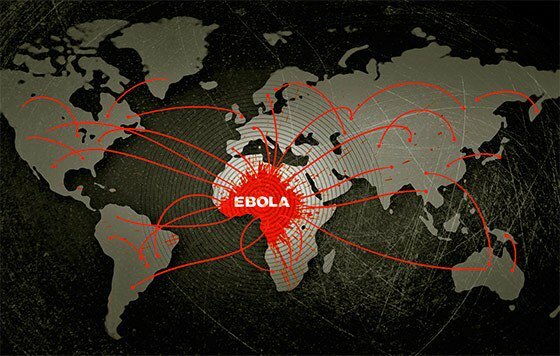 The 2014 outbreak likewise started in a remote region of Africa, but containment efforts were ineffective and the virus eventually spread to the United States and Europe. According to W.H.O., about 400 people have come into contact with the 29 people infected and officials are attempting to track them down for monitoring. As we learned in 2014, all it takes is one infected individual to make it through an airport checkpoint. The following Ebola model from Yaneer Bar-Yam, who has successfully simulated and predicted such events as the rise of the Arab Spring, shows how an Ebola contagion may look. The above model is based on Ebola’s current infection rates and doesn’t take into account its possible evolution as it spreads from human-to-human. According to scientists, the 2014 strain began hyper evolving, to the point that had it not been contained and continued to spread through human contact, it could have gone airborne, making it as easy to catch as a common cold. In response to this unprecedented threat, US government officials began preparing for mass casualties, reportedly going so far as to develop plans for Community Care Centers where infected individuals, or those suspected of infections, would be detained indefinitely. As the Ebola contagion spread across the globe, the panicked populace rushed to stockpile emergency supplies like freeze dried foods, bio-protective body suits and gas masks. Perhaps containment procedures being implemented in the Congo by W.H.O. will be more effective this time around than they were in 2014. But what if they’re not? What if the virus mutates and goes airborne? So far there are 29 suspected or confirmed cases of Ebola in the DR Congo, and at least three confirmed deaths, according to the World Health Organization (WHO). Earlier this week there were rumors as well that one suspected case of the virus cropped up in South Sudan at the border of DR Congo. On Friday, WHO confirmed through lab testing that there are no cases of Ebola outside the DR Congo. 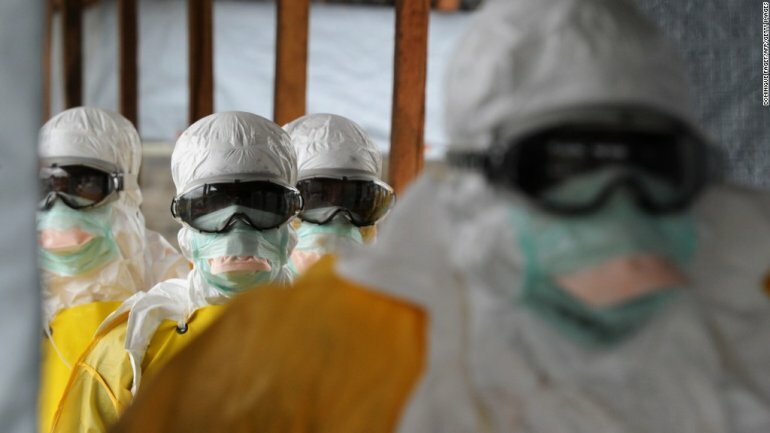 However, if Ebola were to spread outside of the country it might mean an alarming start to a larger outbreak that will likely continue for some time, says Dr. Daniel Lucey, a spokesperson for the Infectious Diseases Society of America, an Ebola expert and senior scholar with the O’Neill Institute for National and Global Health Law at Georgetown University. Lucey says the 2014 epidemic in West Africa that sickened 28,646 and killed 11,323 as of March 2016, taught us that the virus becomes more difficult to contain once it shows up in a new country. 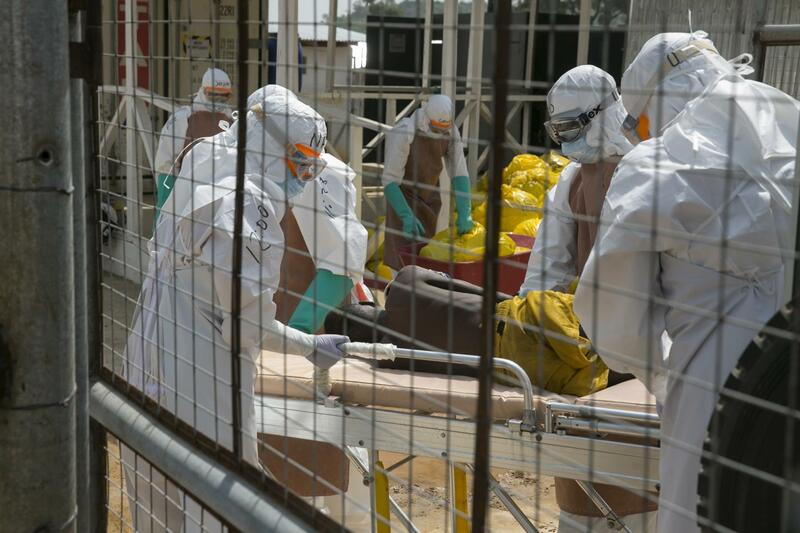 That outbreak which was said to begin in Guinea spread in a matter of months to Liberia and Sierra Leone. Health officials confirmed the first case in the DR Congo on April 21, which is in a remote area in the province of Bas-Uele in the northeastern part of the country. “It’s a huge human and logistical challenge. Affected populations are located in areas only reachable by helicopter or by moto-bike,” Dr. Nafissa Dan-Bouzoua, the medical manager in the DR Congo for the Alliance for International Medical Action, told Newsweek. The WHO still has yet to issue any travel restrictions or advisories to the DR Congo. Because the area is remote the WHO has deemed the risk assessment for this event is “high” at the national level, medium at the regional level and low at the global level. There have been two previous Ebola outbreaks in the DR Congo, according to the WHO. One occurred in 1976. The second, in 2014, killed 49 people. However, some countries are choosing to take precautions. According to the WHO, as of May 18, seven countries have enforced entry screening at airports and ports of entry. These include Kenya, Nigeria, Rwanda, South Africa, the United Republic of Tanzania, Zambia and Zimbabwe. Rwanda issued a travel advisory strongly recommending against travel to the DR Congo. The United Kingdom also recommends against traveling in the areas around the epicenter of the epidemic. Two countries (Kenya and Rwanda) implemented information checking arrival for passengers with travel history from and through the DR Congo. According to Mashable NG, the government in Liberia issued orders to screen all arriving passengers at Murtala Muhammed International Airport. WHO did confirm that reports from earlier this week of a border closure by South Sudan were false. However, as a precaution earlier this week, South Sudanese officials began to set up medical support services at the border, particularly the airport in Juba and border-crossing checkpoints. Though Ebola isn’t currently in South Sudan, officials are still on high alert for a potential Ebola outbreak, especially because outbreaks have occurred there in the past: In 2004, the WHO confirmed 20 cases, including five deaths from Ebola, were in Yambio County in southern Sudan. Last month, South Sudanese health officials became concerned when more than two dozen people fell ill with symptoms of bloody diarrhea (a common symptom of Ebola). However, the rush of illnesses were suspected to be linked to dysentery caused by the bacteria Shigella. Symptoms of Ebola include fever, headache, muscle pain. At a later, acute phase some patients have internal bleeding that causes vomiting or coughing up blood. The virus has between a 20- and 90-percent fatality rate based on the public health reponse. Meanwhile, the WHO is awaiting a greenlight from the DR Congo health and regulatory agencies to import a supply of an experimental Ebola vaccine, produced by Merck and known as rVSV-ZEBOV. According to a study conducted in 2015 in Guinea that involved 11,841 people, the vaccine can prevent illness in people who have been exposed to the virus. But Lucey says researchers still aren’t completely certain how long the vaccine remains effective once a person receives it. Updated: This story has been updated to reflect information from the WHO stating there are no longer any lab-confirmed or suspected cases of Ebola in South Sudan, or on the border of DR Congo. How Severe Is the Latest Ebola Outbreak in DR Congo? Can a Vaccine Stop the Latest Ebola Outbreak?